The answer to this question leads us to that eternal battle between money and health - the financial profits of the litter manufacturers versus the health of our cats. It is my contention that the cat litter manufacturers know the risks but don't do proper scientific tests and publish them. Perhaps they want to cover up the risks? Their customers are people and they want to satisfy people. The health of the cat comes second in respect of short term commercial concerns. Clumping cat litter is about convenience as is dry cat food. Both have health issues surrounding them. There are three major aspects to the clumping cat litter health problem question, which I address below in numbered paragraphs. Introduction -- Recently, Claudette a visit to PoC said that her British Shorthair had been killed by clumping cat litter. That was her assessment. Her vet disagreed. Her cat died of cancer having ingested the dust of the cat litter. He may have licked it off his paws and coat as well. There is no doubt that cats will always ingest some cat litter because cats dig around in the litter beforehand and sniff the litter afterwards. They also sometimes cover their faeces after elimination, which disturbs the litter and kicks up dust. All these action must lead to some dust or particles being ingested. I think even the most hardened cat litter manufacturer would agree that (see for example the review I have written about Tidy Cats Lightweight Litter). Accordingly, there is a major obligation on the cat litter manufacturers to ensure that cat litter is safe when ingested. Let's remember that the most natural cat litter is the earth outside. 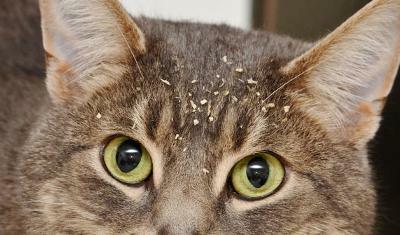 Loose earth is often moist and no dust is kicked up when a cat uses this natural litter. Originally sand was used until cat litter was invented. Some clay clumping litters contain a particularly absorbent (and therefore important) ingredient: sodium bentonite. Arm & Hammer Super Scoop litter contains this substance. This substance is the major concern for cat caretakers…..
1. Sodium bentonite -- What people say is that this substance expands to 15 times its own size and if ingested it gets into the lungs and intestine. It expands and can cause blockages in the intestine and that can lead to serious illness as can expanded particles in the lungs. 2. What people say-- Cat owners voice their opinion on the internet, included social media sites, based on their own observations of their cat. They use common sense but they have no scientific evidence to support their observations. Those who have suffered the loss of their cat under strange circumstances have on occasion blamed clay clumping litter and the ingredient sodium bentonite. The circumstances of their cat's illness indicate a problem with the litter. Claudette's post is probably typical in this respect. I believe them and I am sure that there is a problem that needs investigation, but…. 3. What the manufacturers say -- But the manufacturers say there is no connection between clay clumping litter and cat ill health. There is no scientific data that connects the two, they declare. This is true. But it is the manufacturers who fund scientific testing. It is their responsibility and they have abdicated that responsibility. Their statement that there is no connection is self serving as they ensure that there is no connection. 4. What the vets say -- They have their own opinions. There would seem to be no directive from on high (AVMA). Some vets will probably advise against using clumping litter and some will say there is no connection between ill health and clumping litter. A cynic would argue that vets don't mind if clay clumping litter causes a cat to become ill because they are in the business of treating ill cats. Forgive me for saying that but if all vets practised excellent preventative medicine there would be less vets in business. Vets have an obligation towards our cats in respect of preventative medicine. I wonder therefore why the AVMA or any other vet association has not instigated a proper research program to get to the bottom of the sodium bentonite health problem. Conclusion -- this is obvious. A conclusive study needs to be carried out by researchers who have no connection to manufacturers. The study should be funded by the manufacturers and it should be made public to everyone. It should be monitored by third party inspectors to ensure accuracy and honesty. What is lacking is proper, unbiased, ethically produced, scientific evidence. The information is probably out there already in veterinarians files. Armed with that I suspect that we will all discover that clumping litter is hazardous to the health of kittens and cats. In the meantime, don't use it or at least avoid the sodium bentonite variety. There are plenty of alternatives. Hi Michael, I saw Claudette's post and have been looking for your follow up post. Thank you. I was alarmed about the clumping litter as I hadn't heard of this problem before. Bigfoot prefers to use his litter box, even though he is able to go outside. I use the Costco brand, but I'm changing that today. Bigfoot has developed some respiratory and itching problems and I was awake all night worried about it after reading Claudette's post. Any recommendations as to type or brand? Cat litter is another nail in the coffin of a cat's natural life since many cats are now kept indoors and never get to use earth the way Nature intended for all her creatures. Upon every visit to the litter tray a cat must ingest a certain amount of litter or at the very least, dust from that litter. As humans take away more and more of the life cats were born to live, it's the cats who suffer. Manufacturers of cat litter trying to produce it cheaper don't worry about the consequences to the cats! I know it's a fact that outdoors is not safe any more for cats in many places but I find it very very sad.